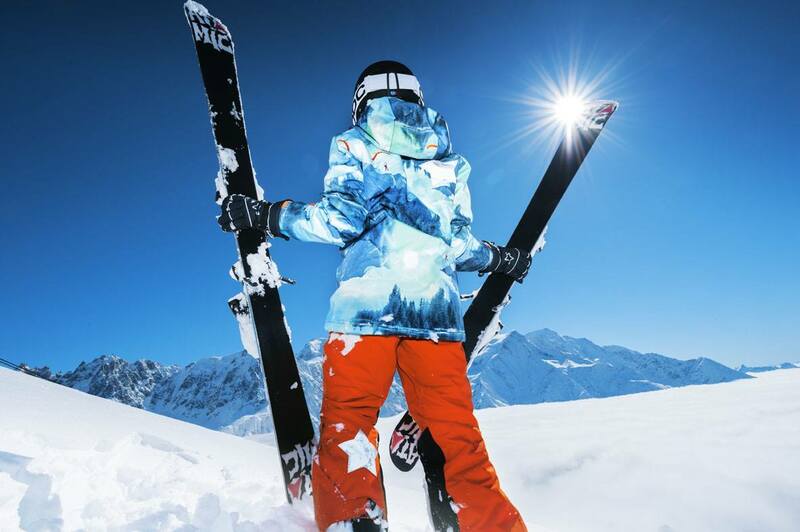 Ready to hit the slopes for the first time ever or maybe you just need a refresher? 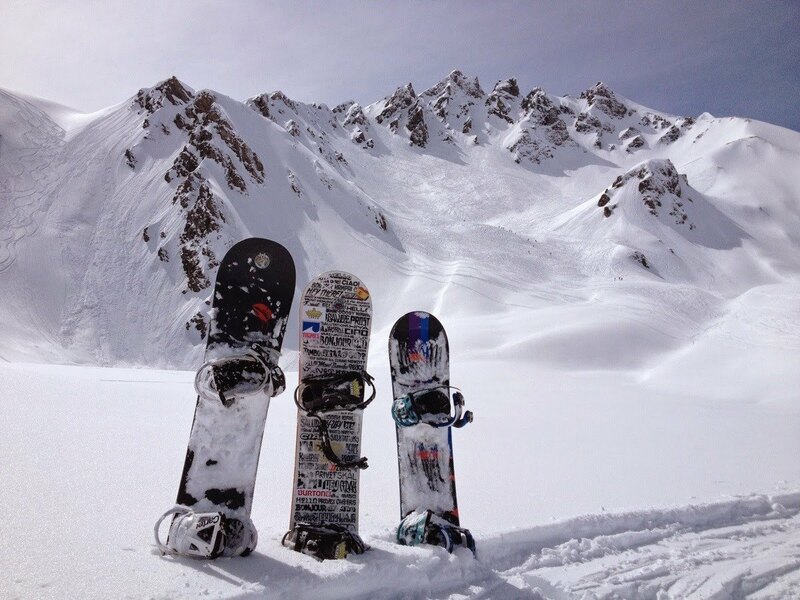 Welcome to our guide on how to snowboard for beginners. Winter is upon us! And perhaps, this season, you’re ready to learn how to snowboard. It’s also possible that you’re reading this at a point of the year when winter isn’t close. How great is the internet? What a world we live in. Whatever season it is, you’re excited about the possibility of learning how to snowboard. But being a beginning snowboarder can be difficult, and without a good base, you may be nervous to try. It is said- and probably true- that while learning how to ski is easier, learning to snowboard has more of a “learning curve” at first. That’s probably because it’s a skill that not many other sports mimic, so your body doesn’t really have much experience with it. This guide is the ultimate beginner’s guide on how to snowboard. The first half of it will walk you through what you’ll need to have ready before you get to the mountain. The second half contains information about the basic skills you’ll need to learn to be successful as a snowboarder. Without further adieu, let’s dive in! There’s plenty more information about snowboarding– gear, tips, and more, available on our website. 13 Step Thirteen: Keep Practicing & Don’t Give Up! When it comes to learning how to snowboard, control is everything. It will serve you well to have the right gear, especially a good pair of boots that fits tight and is your size. This YouTube tutorial on fitting snowboard boots will give you a good idea of how to get started. Basically, you’ll want to remove the lining from the shell of the boot to see how it fits your foot, especially taking into account how well you can move in it. To prevent injuries and make learning much more fun, this is a step you won’t want to overlook. 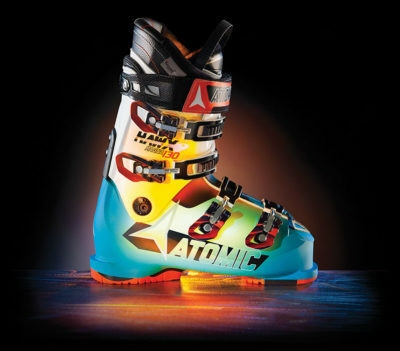 You’ve surely heard a horror story or two before from friends who tried snowboarding or skiing without the right gear. The truth is, you will probably fall a fair amount your first time out- so you want to have good, warm gear that is water resistant and comfortable. And, do yourself a favor. Invest in a good pair of gloves. Honestly, you’re probably going to fall a lot, and the last thing you want is cold and wet hands because snow gets in them when you’re picking yourself up. Keep in mind, we’ll talk about things like a good helmet in a minute. As for some other equipment, this guide with the 24 best ski jackets for men and women is a good place to start. You can probably scrape together some of the equipment on this list without buying it new, but it’s always a good rule of thumb to dress a little warmer than you think is necessary. After all, the top of the mountain is always colder than the bottom! Before getting measured for the right board, you’ll want to know your height and weight. This will help you either purchase a good board or get a properly sized one at the rental shop when you get there. This snowboard size calculator is a good resource for finding out the information you’ll need. A snowboard that’s too big or too small will make it more difficult to learn, and especially if you are too big for it, could be dangerous. The last thing you want it to do is injure something on day one. This may only take a few moments to determine, but do you plan to ride with your right with your left or right leg in front? Believe it or not, the boards for lefties are actually set up differently. You’ll need this information when you order your gear or go in the rental shop. If you’re really confused, just ask the guys when you get to the shop. Safety gear gets its own section, and that starts with wearing the right helmet. 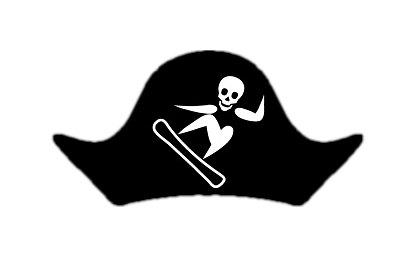 Snowboard isn’t necessarily a dangerous sport, but it can be if you aren’t properly equipped. If you fall and hit your head, you want to know that the helmet you’re wearing will protect you. So invest in a good one that fits properly and size it before you go. As a side note, you may see people on the mountain doing things like listening to music while they board. Some snowboarders love this, but it’s actually a bit dangerous. It’s hard to hear or see people coming when you are listening to music, so it’s best to leave this at home for now. Some people do well just getting on the mountain and trying. Some will do that, but don’t want to go to the top, and would prefer practicing on the “bunny” slopes first. Others people need or feel more comfortable taking lessons from a snowboard instructor before. Decide which you’d prefer, and make arrangements for your day before you go. Alright, enough groundwork! You’re ready to go snowboarding. Let’s continue to “part 2” of this guide. 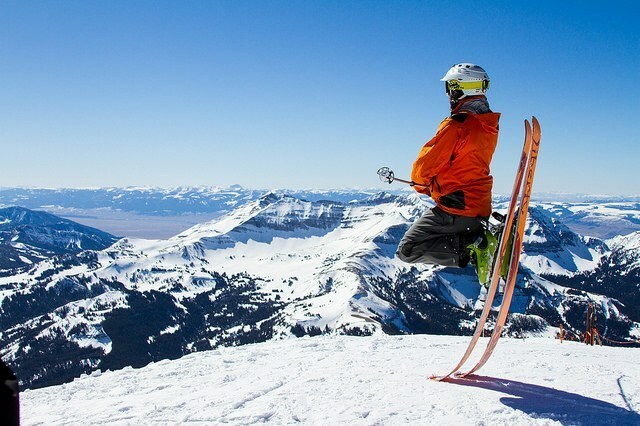 If you’re used to skiing or haven’t been to the mountains at all, it may feel strange walking with one foot strapped to the board. When you first get there, strap your lead leg into the board and walk around. This is your chance to get a feel for the bindings and the board itself, to see how tight you want to wear them so that you are safe but can still flex enough to move when you go down the mountain. This is also a good opportunity to get a feel for what it will be like when the board is actually moving. This is probably the golden rule of learning to snowboard well. As the board moves, it’s your job to keep your eyes on the place you want to go. Your brain will naturally help move you there, even if it means weaving around someone or slowing down the board. Get in the habit of doing this early on. This means not looking down at your board, and trusting that you’ve put your bindings on well. It always means having trust in the people around you to be doing the same thing- don’t look at what they’re doing, focus on you, and both of you will end up not colliding. Turning is the most important thing to learn on a snowboard. By learning how to turn, you can control your speed. Yes, going fast is fun, but after a few adrenaline highs and subsequent crashes you’re going to have enough of that. Turning is about your weight distribution in your feet. At first, you’ll be a little surprised at just how sensitive the turns are. They are subtle, so turn slowly. The key to turning well is having your boots on correctly. Make sure they fit! Turning on your toes is more difficult, so start with your heels. Try to lean onto your tiptoes and shift your weight slightly in that direction. It will feel like you’re going to fall, but you have to trust your edge. If you keep pushing your toes in without panicking and woosying out, you will turn all the way until your board is perpendicular to the slope and you’ll come to a stop. Ultimately that’s what snowboarding down the slope comes down to, leaning into your toe side edge and then leaning into your heel side edge. Alternate between those two things, and you will snake your way down the mountain. Remember, the harder you lean and press with your heels or toes, the faster you will turn and the more you will slow down. When you are learning to turn still, it will probably benefit you to practice on some small hits at the bottom or on the beginner slopes. Without being able to turn properly, you could injure yourself or someone else up top! The next step is learning how to stop on a snowboard. This and carving are probably the most difficult skills for learning how to snowboard for a beginner. Stopping requires a full commitment. If you hesitate, you will likely fall over your board. You must bring your back foot forward while simultaneously driving your feet into the snow so that the board digs in and slows down. Start by practicing on little hills, where you can get a feel for this position. It’s a tricky one that isn’t really mimicked in other sports. Carving means that one edge of your board is cutting into the snow. Learning how to carve snowboard is how you control your speed, direction, and ride down the mountain as you get better. There are two types of carves: heel carving and toe carving. This guide on how to carve on a snowboard gives you a full breakdown of the skill. Practice the heel edge first by slightly leaning back while your weight shifts towards your heels. Think about trying to sit back on a chair. One “workaround” as you build towards a good toe carve is to use the falling leaf technique. This will keep you at an appropriate speed your level and allow you to rely on the easier-to-learn heel carve. Ready to learn how to jump on a snowboard? Understand before you go any further: jumping is probably not a new skill for beginner snowboarders. Only a few really natural athletes may walk away from their first few sessions being able to jump and land on the board while it’s moving. Don’t be discouraged if you feel like this isn’t within your reach after your first few sessions. Still, you can try at the top or on smaller hills practicing small jumps to get a feel for the board. This will help you develop balance as you get started. Step Thirteen: Keep Practicing & Don’t Give Up! Ask anyone you know that’s snowboarded before- day one is always a little tough. Perhaps you feel a few times and leave the mountain a little discouraged. You won’t be the only one. Just keep in mind that, like anything, snowboarding takes time to get good at. It’s a skill that can take a full season to feel really comfortable going down the mountain without falling or losing your balance. Also, it’s pretty common to be a little sore after your first snowboarding session. You probably fell a few more times than you wanted to, but as long as nothing really hurts, it should go away. It sounds cliche, but have fun with it, even if you are struggling. Don’t feel bad about laughing at a fall or asking for extra help with something you can’t seem to get. Many people decide on day one that snowboarding is not for them, but many people also fall in love with it pretty early on. As you learned in this guide, about half of learning how to snowboard is by focusing on the little details before you get to the mountain. It’s important for both safety and enjoyment that you pick up the right equipment that will keep you warm, comfortable, and safe. Some of the gear you’ll want to invest in: good boots, a helmet, a warm jacket and ski pants, good gloves, good socks, and warm layers for underneath. Always remember to dress a little warmer than feels necessary, because the top is always colder. If you scan back through this guide, you can find links to much of the equipment you need- but here’s a link to the snowboard section of our website in case you want to read more. The final tip, if this wasn’t already implied, is to have fun with it! Whether you’d like to learn snowboarding from scratch with no other mountain experience or just want something change it up from skiing, it’s a really fun winter sport that can become an activity you look forward to each year. We know we do. Good luck!